These past few days, my left arm, especially 2 of my fingers would havetremors. Involuntary tremors. First day, I dismissed it, thinking it was just coincidence. What the he** happened? I racked my brain to think of the cause. Last night, one idea came to me, it’s probably because I was too tense and stressed that triggered this. My brain was too stimulated and overloaded with many things. My adrenals released cortisol continuously for few days and it affected my nerves. Last night, I used AromaLife on my heart and left wrist as well as fingers. I massaged lightly. Tremors became better. 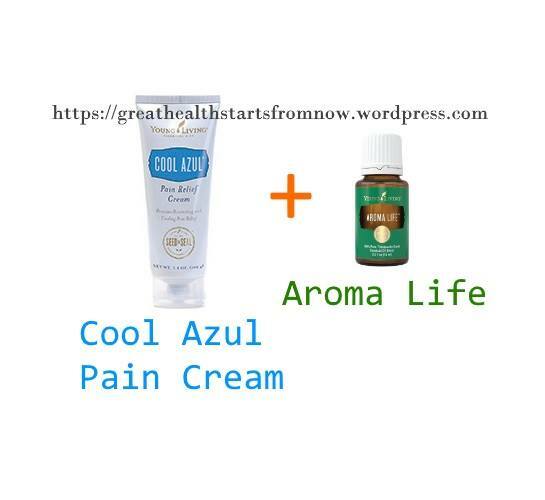 I applied Cool Azul Pain Cream on my left wrist and fingers and also on my adrenals (I was too lazy to go back to my room to get other oils, just use whatever I had on my working table). This morning, I woke up and felt much better. The “electric” sensation was minuscule compared to few days back. Tonight, as I am writing this, I didn’t not feel the tremors as before. I can sleep well then…..